A while ago, you saw my post unboxing the samples Skinny & Co. sent me. 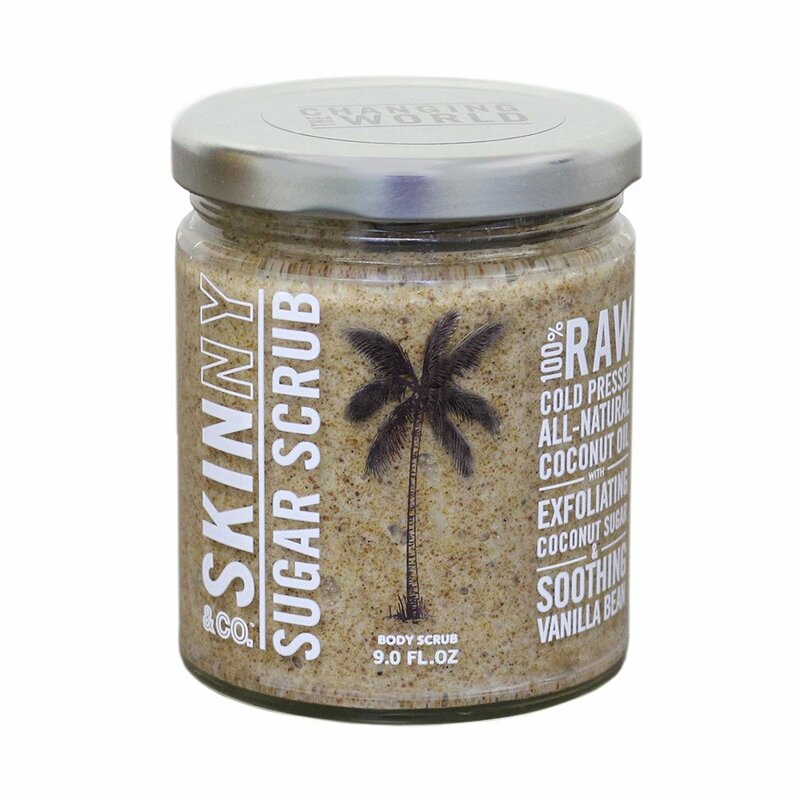 I’ve been using all of the products but today I’m going to focus on the sugar scrub and whipped body butter. First thing’s first: this pic doesn’t accurately represent the sample I received. Mine is much darker in color. Nonetheless, I doubt the color has any effect on the purpose of the product. Second: one should take note that my amazing husband loves scrubbing & taking care of my feet. That being said, he’s tried many different brands of foot scrubs & moisturizers. Now let’s discuss the body butter. 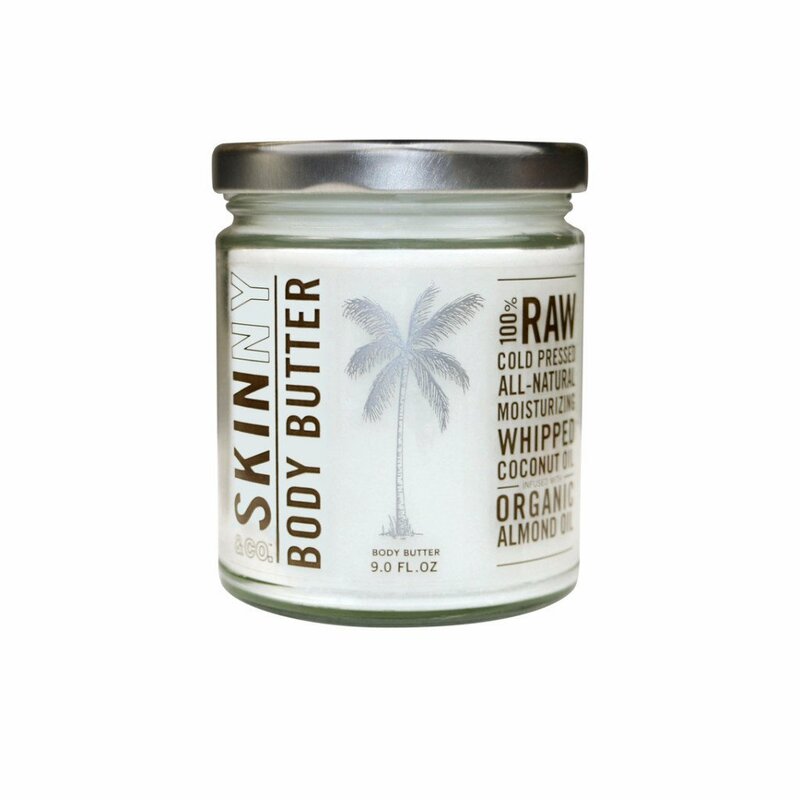 The body butter claims to be good for razor burn and calming inflammation. For the past week, I’ve been using it on some of the more sensitive areas where razor bumps regularly pop up despite my devotion to Aveeno shave gel. I can’t say I’ve seen a difference so far. I’ve also started to apply the oil to my scar-ridden belly–stretch-marks, vertical c-section scar–in hopes that the oil may soothe some of them away. Look forward to reviews of the oil pulling sample and and update of the body butter vs. razor burn challenge. Many thanks again to Skinny & Co. for the samples. I’ll be posting more on the other products soon. I received these products in return for an honest review.